The section "update: 6.December 2014" refers to Igor's website. Igor created a Bananapi image without any x server or something else. As you can read on Michael's page he writes down howto install x server and ham radio stuff. 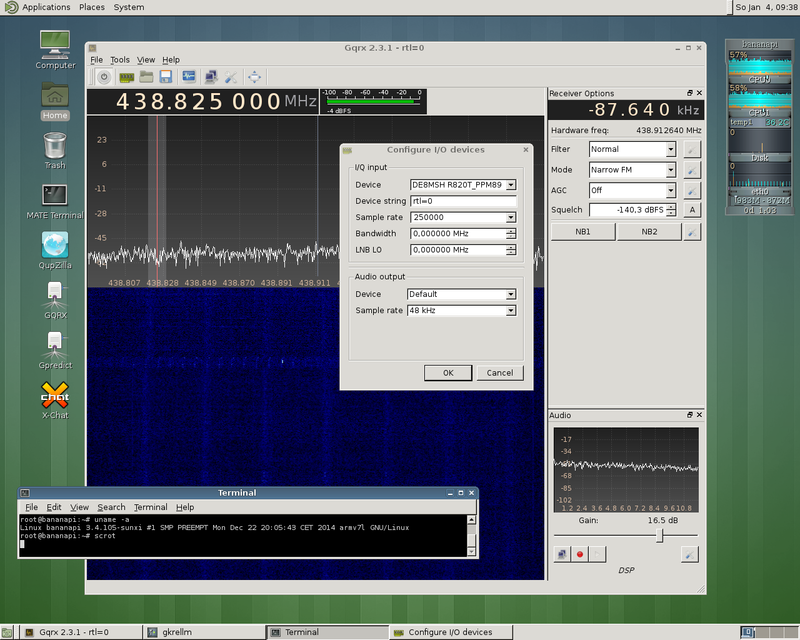 Then I decided to install GQRX to test how it works on a 1GHz/1GB dual core embeded system. SDR is the well known RTLSDR R820T. As you can see GQRX takes about 60% to 70% of CPU. You have to set samplerate to 250kS. All values above 250kS causes the CPU to use 100% of both cores :(.